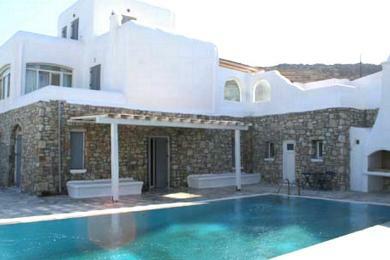 Tigani, newly built villa 155sq.m on plot of land 4.100sq.m right on the beautiful beach of Tigani on the Eastern side of Mykonos. 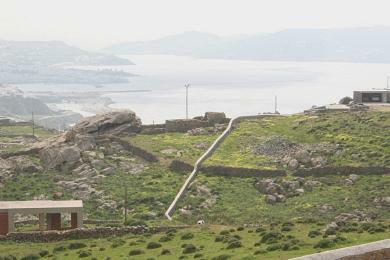 The view to the Aegean Sea is outstanding, panoramic and unobstructed. 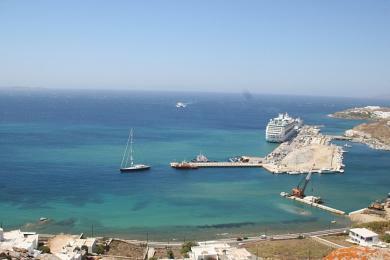 Less than 50m away from one of the most beautiful beaches of the island. 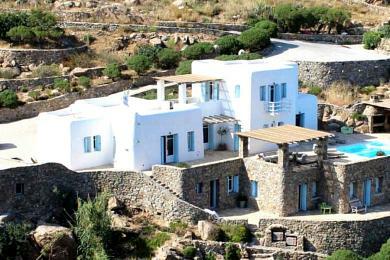 The construction of the villa is 100% legal, built in two levels, ground floor and first floor. The ground floor consists of a sitting area with fireplace and a kitchen with hatch, a bathroom and an adjoining room which easily can be used as a bedroom as well. There are two storage rooms. The ground floor is surrounded by verandahs and pergolas and there is a BBQ and an outdoor dining area. The construction of a swimming pool has been provided for. There are gardens and parking spaces. 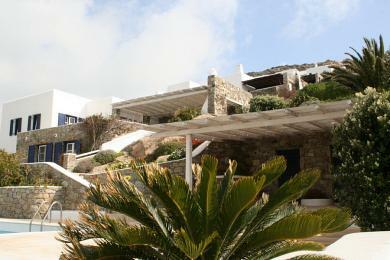 The first floor consists of two bedrooms, one bathroom, big verandahs and two pergolas. For sale fully furnished and equipped.